Unfortunately, the overall progression of companies and their interaction in our lives can be less mutually rewarding for both parties as it seems. This negativity can affect many areas of our lives, from our employment status, our reputations, our health, or sometimes the health of our communities. When you realize that a grievance has occurred, it is often too late to mitigate the effects of fully. This is where it’s best to seek compensation. For example, it’s not uncommon for you to hear about class action lawsuits springing up all the time. Some are quite heavy, such as how a company might have been dumping waste in the water supply of a local time. Sometimes it could be considered quite minimal, such as the license being revoked on some content copyright, and a lawsuit being generated due to that original product not being sold as advertised. For example, if you’re familiar with Guitar Hero the pretend instrumental videogame, boxes of said product with advertised songs were being sold long after the licenses had expired. This means that after they recalled those products from the shelves, certain consumers were represented in great number and may have received $5 of compensation each due to the large class action. But of course, we’re not suggesting your legal issue is as minimal or non-threatening as this. Sometimes a willingness to prove your grievance is not only a financial matter, but a matter of principle, a matter of defense, and a matter of preventing this from happening again. Proving your grievance in that legal sense could be considered extremely worthwhile, and might help you become a trailblazer for the downtrodden, at least in this instance. It can be important to find witnesses who will corroborate your story. Of course, this might be a difficult process if you have become injured or are otherwise impeded, but finding someone to contact said eyewitness or giving their details to a lawyer is important. It might be the person who helped you by calling an ambulance, a colleague who saw the accident happen, or someone who was simply there at the time. Of course, witnesses are stronger if they have little connection to you, or have little social familiarity with you. This shows that they have nothing to gain by supporting your story, and will be looked at by an authority with preference. Of course, depending on the nature of the problem, it might be hard to find witnesses. Putting the call out there can be a worthwhile move no matter what, provided you are able to ensure they are telling the truth. Do not ever consider utilizing a false witness, this will throw your whole case into disrepair. Of course, this is perjury, but some might not understand the full definition of this. It is not perjury to give a false statement under oath, but it is to assert that truth when the legal result is being debated. It’s best to avoid any exaggeration, or to stray away from the facts even by a degree, no matter how well intentioned the impartial witness is. A great lawyer will help you understand this to a greater degree. Sometimes, it’s possible to find an entire community of people who have been impeded by the overall difficulty of a business practice or end result of a process. For example, there have been many successful and unsuccessful lawsuits against well known pyramid-scheme Herbalife in the United States, suggesting that they defrauded customers with an incomplete idea of that they were investing in. Many voices speak louder than one, and if a whole community has been damaged it’s hard to dismiss that collective evidence. Perhaps the most familiar cases we are aware of come from issues relating to toxic waste dumping, or toxic chemicals being used within certain products. For example, arranging a glyphosate lawsuit has become more of a common occurrence in the past, as people who have been diagnosed with this malady due to Monsanto’s commercial product Roundup using this as one of its main ingredients. Sometimes, like in this case, there might be a set of strong precedence and communities that have come out and attempted a lawsuit in the past. Just because of the case precedence, the potential settlements or the product recalls that might have occurred, it’s not always the case that future lawsuits cannot be made. If your medical symptoms are real and you can prove the use of such a product, you might have a stronger case than you imagine. For this reason it’s important to put your best foot forward and actually care for the end result. More than anything, complete and irrefutable evidence is essential to overcome a case. Sometimes, it can help a case remain open-and-shut. It depends on that you have to work with. For example, it might be that your trip and fall at work due to incorrect stock storage policies is directly viewable on CCTV. Companies are compelled to show this footage in the event of an accident or injury, particularly if it comes to court. It can sometimes be the case that your own fability impedes the case a little. It might be that your complaint isn’t complete, or has little backing in terms of real evidence. This is where it’s best to find an excellent lawyer who won’t simply take on your case and promise you the world, but will help you piece information together, and find the reason in your potential litigation. The more solid ground you have to stand on, the more you can expect a positive outcome. Of course, it might be the case that you wish to enter a no-fee, no-win scenario with an outfit, but sometimes this can lead to dismissal or a lack of true attention on the case. You want a trustworthy lawyer, one who can help you refer your experience to the potential experience of their past clients, confidentially of course, and who can remain completely honest with you from the outset. They can help you ensure your court candor is correct, and that you are able to come to as swift a resolution as possible. To summarize this advice, very clear instruction must be given. You must ensure you know the validity of your original complaint. You must find as much supporting evidence for it as possible, with impartial witnesses likely being the very top of the list you can enjoy here. 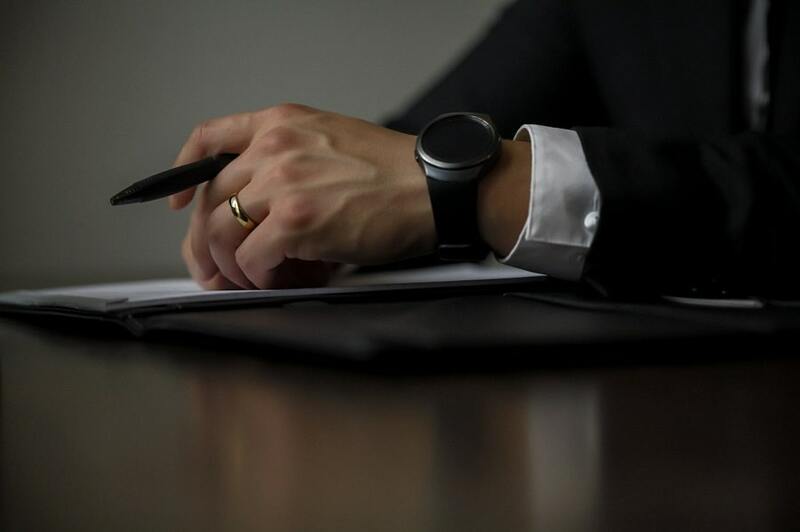 You must also care for the process, and ensure that you are completely candid with your experience, with the dates you provide, and encourage realistic compensation consideration, which your carefully pre-selected lawyer can help you with. At the end of this, you will find more utility in your output, and potentially find the result you are looking for.